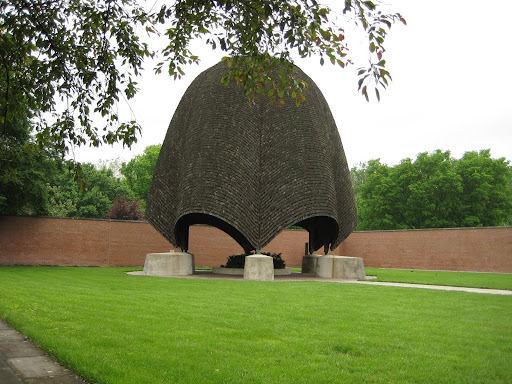 "Roofless Church" in New Harmony, Indiana is an unusual open air church, which just has a walled garden with a small alter under rosebud shaped canopy. 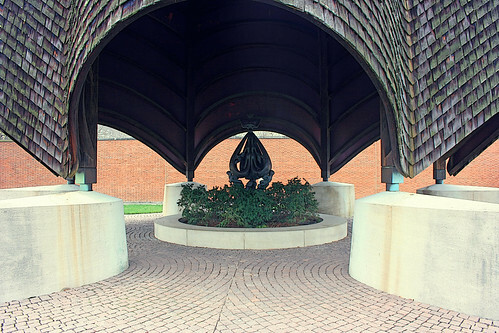 The interdenominational church dedicated in 1960, was designed by the architect Philip Johnson. The church was commissioned at the request of Mrs. Jane Blaffer Owen, who believed that "only one roof, the sky, could embrace all worshipping humanity." 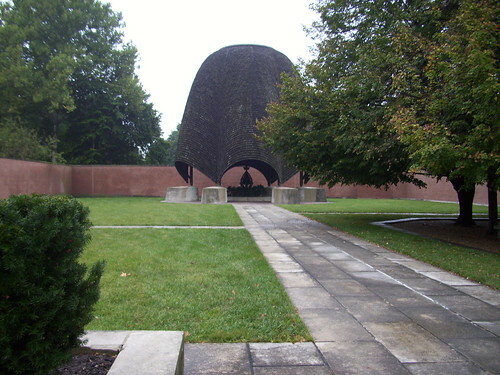 Beneath the fifty feet (15.24 metres) high canopy, which is covered with cedar shingles, is a bronze sculpture named "The Descent of the Holy Spirit". 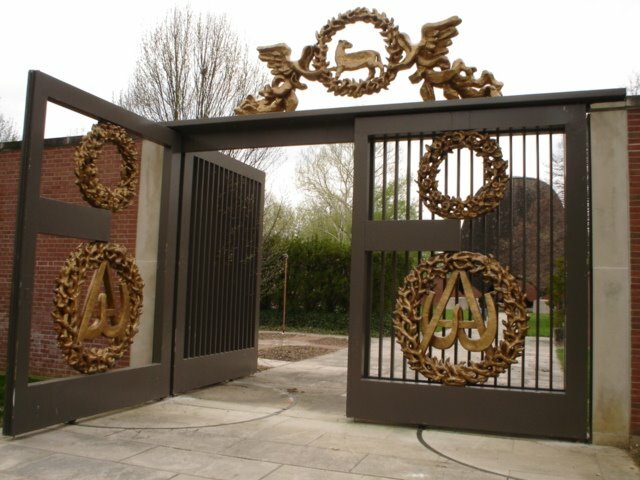 The sculpture as well as massive decorative bronze gate at the entrance were designed by Jacques Lipchitz. 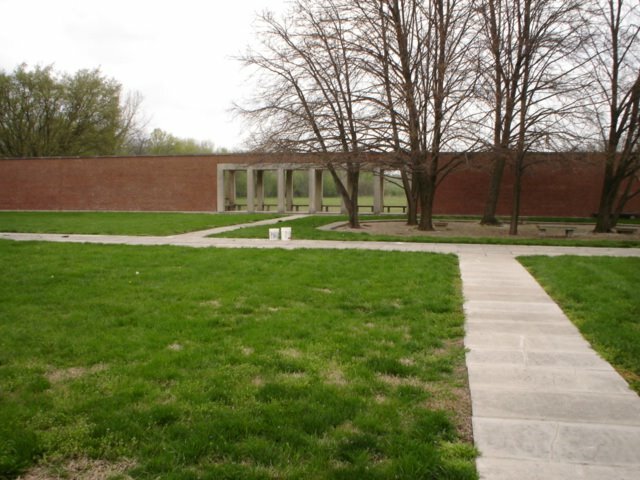 The North face of the wall has a large balcony with benches and provides a good view of the nearby Wabash River. Beside religious gatherings the the Roofless Church is also used for weddings and memorial services. Copyright: Images from Tri-State Genealogical Society of Evansville, Indiana are under copyright of JGWest Actual terms of reuse couldn't be ascertained. Permission for reuse is being requested and have been used here after due permission, which is thankfully acknowledged.